Some of our JSL sustaining members have shared information about a project that is underway in our community. Global Financial Partners are teaming up with CASA (Court Appointed Special Advocates) to provide each child in their supervision with a suitcase of his or her own! 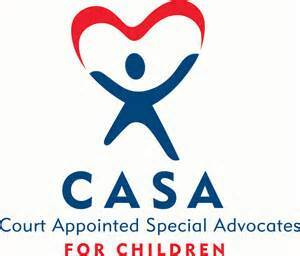 CASA is a nonprofit organization that provides trained, court appointed volunteer advocates to every abused and neglected child in the custody of Children’s Protective Services. CASA has served abused and neglected children in Texas for 25 years, with the vision and goal to provide a safe, loving, and permanent home to every child in its care. As children need to be moved from one home to another, their belongings also need to be moved. In the event that they don’t have a suitcase, all of their belongings are placed in trash bags. This is simply not acceptable! It sends a message to the child that their belongings are trash. A gesture as simple as giving a child a proper suitcase can send them a message that they are valuable and worthy. CASA of Walker, Trinity and San Jacinto counties has roughly 87 children in foster care. At this time 45 bags and suitcases have been donated. If you would like to help, you may bring a new or gently used suitcase or duffle bag to Paige at our December social. She will get the luggage into the hands of those who will make the deliveries. Let’s all rally behind these children to let them know that they are special! There is a facebook page with further details. Click here if you have any questions.